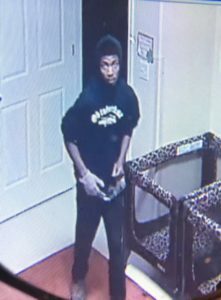 On Saturday, March 10, 2018, Killeen Police received information that the Children’s Treehouse Learning Center located at 5016 Trimmier Road was burglarized and the suspect stole property from the center. 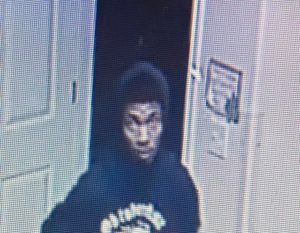 The suspect is described as a thin-build black male, wearing a dark colored hoodie and pants and tan shoes. Detectives with the Criminal Investigation Division, Burglary Unit, obtained photographs of the individual and is asking anyone who can identify this person, or may have information to contact Crime Stoppers at 526-TIPS (8477), go online anonymously at www.bellcountycrimestoppers.com or text BELLCO along with the tip to 274637. Text HELP to 274637 for help with the tip or text STOP to 274637 to stop the tip. All information is confidential and anonymous and if your tip leads to the arrest of the suspect in this case you could be eligible to receive a reward up to $1,000 in cash.